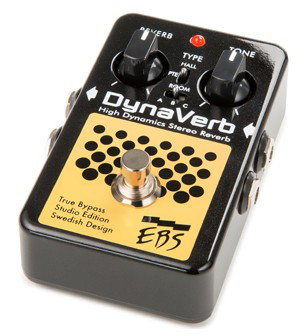 DynaVerb SE, Other Bass Effect from EBS in the Black Label Studio Edition series. 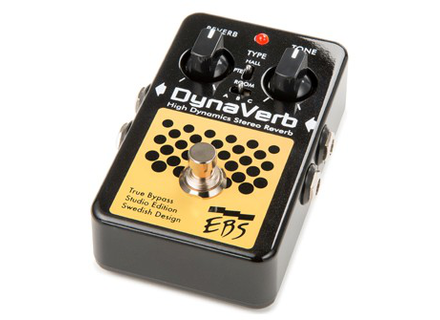 The new Black Label Studio Edition series features six effect pedals EBS fans have known for a long time, but they know sport a new look with improved sound and simplified operation. 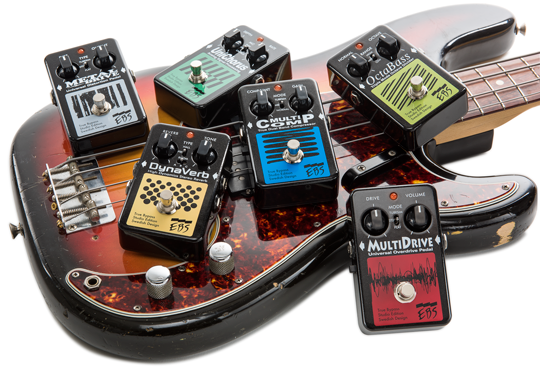 The MultiComp SE compressor, DynaVerb SE reverb, UniChorus SE, OctaBass SE octaver, MetalDrive SE overdrive and MultiDrive SE overdrive pedals are now equipped with new relay-based switches for reduced mechanical noise and improved lifespan. All the models also include “Jumbo” LEDs for increased visibility, improved current protection and they can be 9-12V powered. EBS also announces that the signal have been optimized for studio use. These new stompboxes will be available this Spring. More info soon at www.ebssweden.com. [Musikmesse] EBS Reidmar 750 bass amp head EBS introduces at Musikmesse the big brother in the Reidmar bass amp series, a 750W head. [Musikmesse] Two Notes designs preamp pedals French brand Two Notes Engineering surprised us with a new series of four tube preamp pedals for guitar and bass they introduce at Musikmesse. [Musikmesse] Manne Woody Phantom bass Italian luthier Manne will attend Musikmesse next week where he will showcase, among others, the Woody Phantom 5-string bass with phantom power.